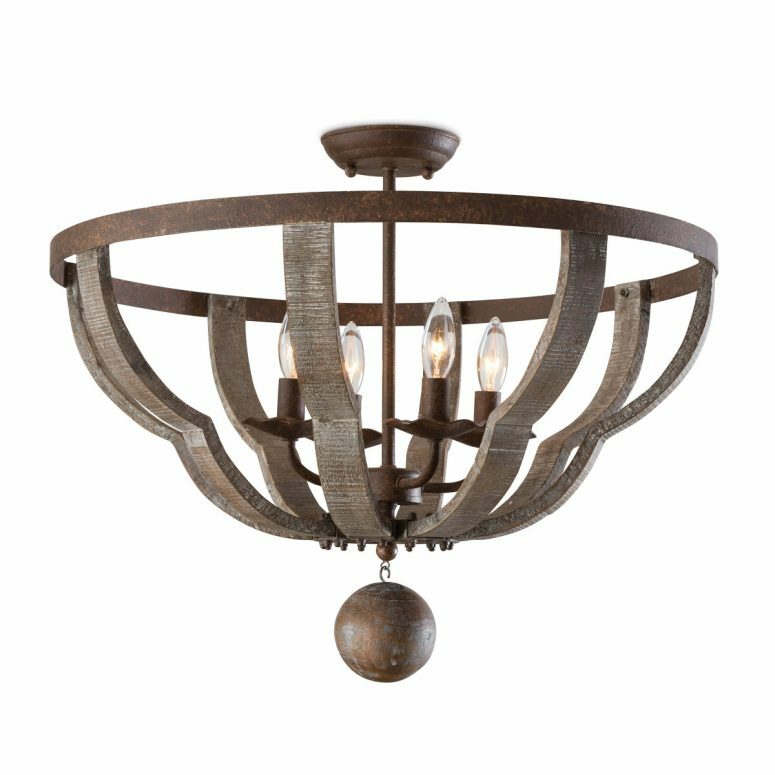 Beach wood and rust-toned steel combine in this stunning semi-flush fixture. The lines of this piece evoke an old world European charm that can be easily incorporated into a traditional, transitional, coastal or farmhouse look. Please check with us for availability…stock changes daily. There’s always something new to discover at Kudzu and Company!